She only heard hours after the shooting in the complex where she lives that Oscar Pistorius had shot dead his girlfriend. This is what Annette Stipp, an occupational therapist, testified in the Pretoria high court this morning during the trial of the Bladerunner. She only heard hours after the shooting in the complex where she lives that Oscar Pistorius had shot dead his girlfriend. She didn't even know when her husband, Dr Johan Stipp, returned from the house where the shooting had taken place that it was Oscar who had pulled the trigger. This is what Annette Stipp, an occupational therapist, testified in the Pretoria high court this morning during the trial of the Bladerunner. Annette is the wife of Johan Stipp, the radiologist who testified earlier in the trial. The Stipps live the street behind Oscar's in the Silver Woods estate east of Pretoria. Their house is just over 70m from Oscar's. This morning Annette testified she'd heard shots and screams shortly after 03:00 on Valentine's Day last year. She looked out of her balcony door and saw the lights were on in two of the nearby houses. One of the houses was Oscar's. When everything had calmed down, her husband went to the house with the lights on to help. He previously testified he found Reeva at the bottom of the stairs, with Oscar sitting beside her crying, his hands on her wounds. Annette testified this morning when her husband returned home after 04:00, she asked him what had happened. "My husband said the man had shot dead his girlfriend. We didn't know it was Oscar. "I'm on a Whatsapp group. Later that morning everyone was talking about their Valentine's morning. I talked about our crappy one." Annette told her friends about the neighbour who had shot his girlfriend. 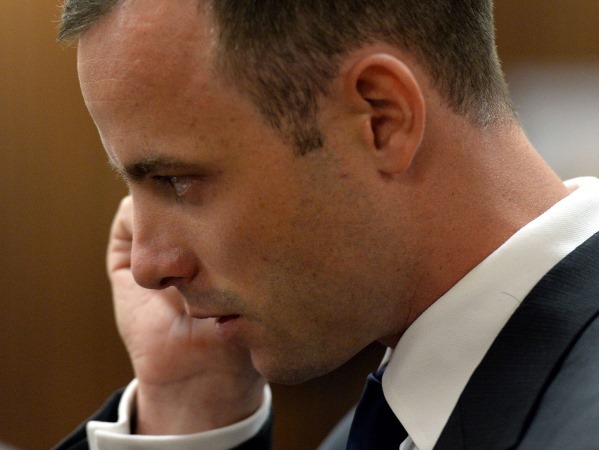 Shortly after 08:00 a friend phoned and asked her if she was listening to the news, because she was sure her neighbour was Oscar and he'd shot and killed his model girlfriend Reeva Steenkamp.